A couple of weekend's ago I made my first visit to a Red Door Spa to treat myself to a massage. Not only was the signature massage itself absolutely AMAZING, but throughout my time at the spa, I was truly treated like a princess. The entire staff was willing to go above and beyond to make my experience extra special. While there, Red Door was promoting their Mother's Day packages and it got me thinking what a great gift idea a spa day would be for Mother's Day...after all, what mom wouldn't appreciate a day of being pampered??! The Red Door Spa is a full service luxury spa & salon and it certainly lived up to my expectations. I was given a cozy robe & slippers upon arrival and taken to the relaxation room where I enjoyed tea & read a magazine until my masseuse came to get me! During my signature massage, my masseuse included some amazing aromatherapy that helped relax me right away. I couldn't believe how fast the time flew - before I knew it the massage was over & I was feeling revitalized and super relaxed. If you're still looking for the perfect gift for Mom this Mother's Day, a Red Door Spa gift is the way to go! This post is done in partnership with Red Door Spa. All thoughts/opinions are my own. A spa day would be a perfect mother's day gift!! Me too - it was such a great day! Love the idea of a spa day for mothers day! I also love your cute gift picks! 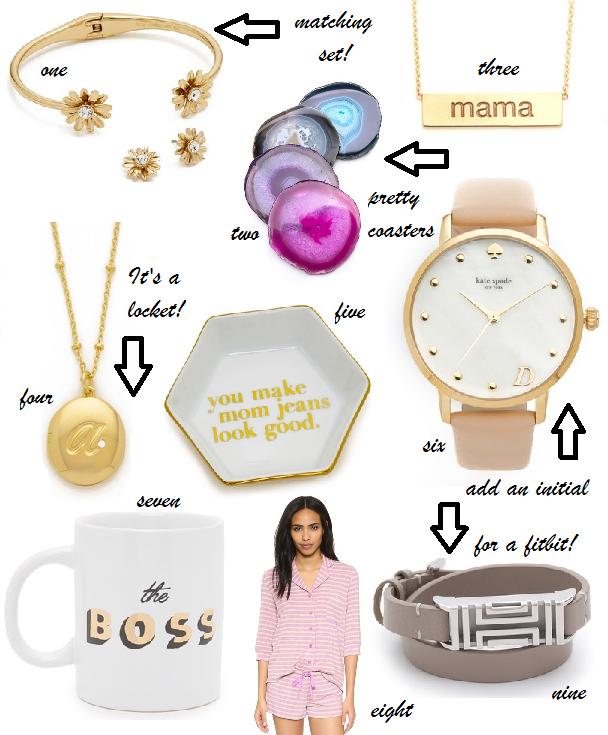 The mama necklace is so fun! It was my first time visiting & it was amazing!